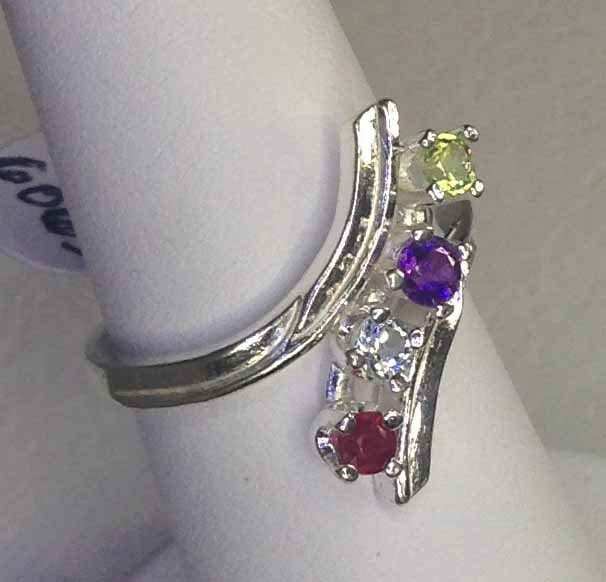 Categories: Rings, Special Occasions. 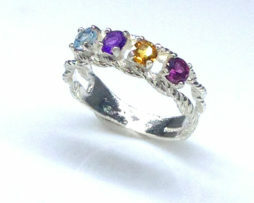 Tags: Amethyst, Diamond, Garnet, Green, Peridot, Purple, Red, Ring, Round, Sterling Silver, White, Yellow. 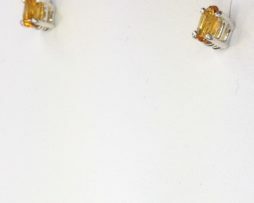 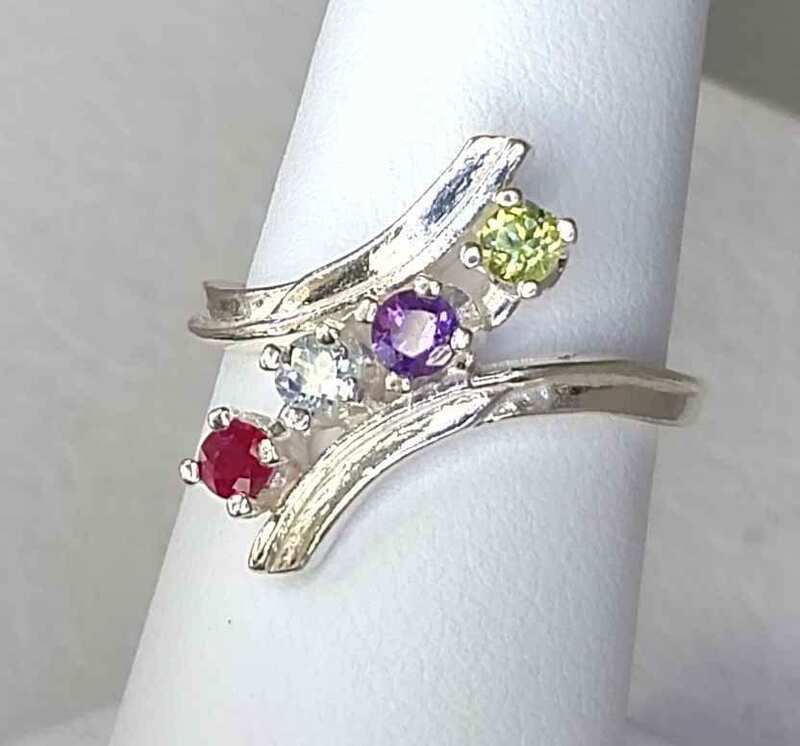 Robert Michael assembled this Size 7 Sterling Silver Mother’s Ring in an effort to illustrate the concept of using a birthstone for each member of a household. 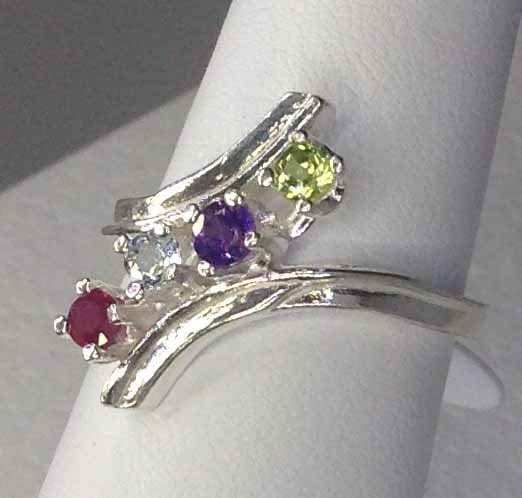 The ring contains a Garnet, Diamond, Amethyst and Peridot gems. 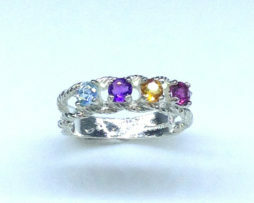 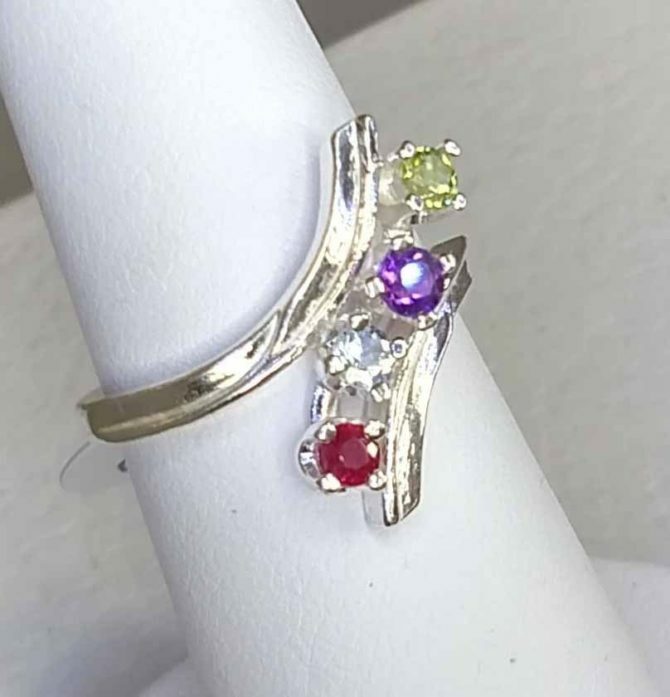 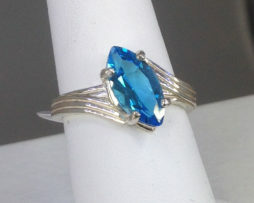 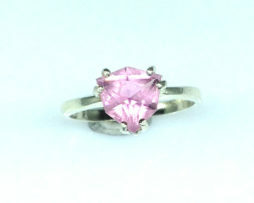 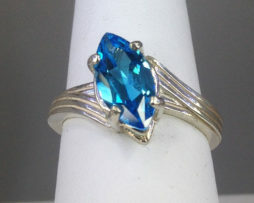 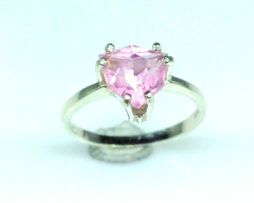 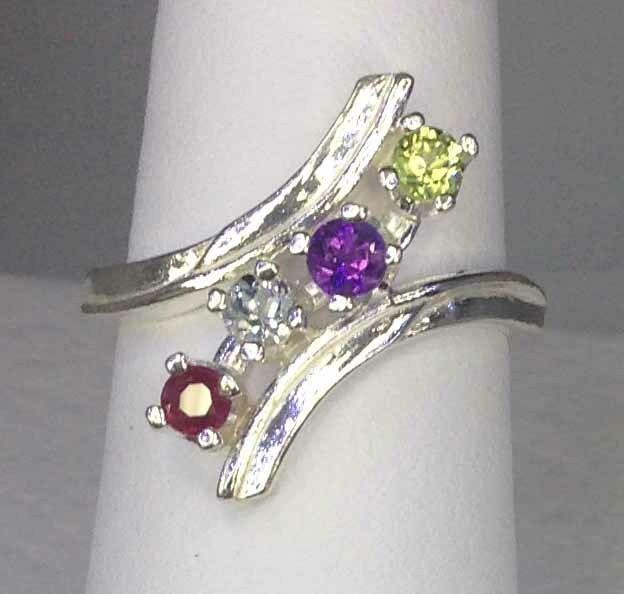 This ring can be made using 3 to 6 gems in either 14kt Yellow or White Gold or Sterling Silver. 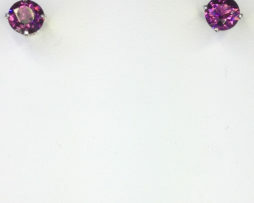 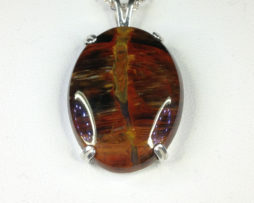 Most gemstones are available. 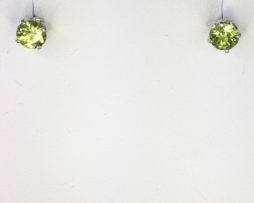 Ask about a free estimate.